Orphek New Slim Line has reviews already! You can already read reviews about our newest launch! Reefbuilders has already made its first evaluation of our Slim Line solutions and has only great things to say about it! 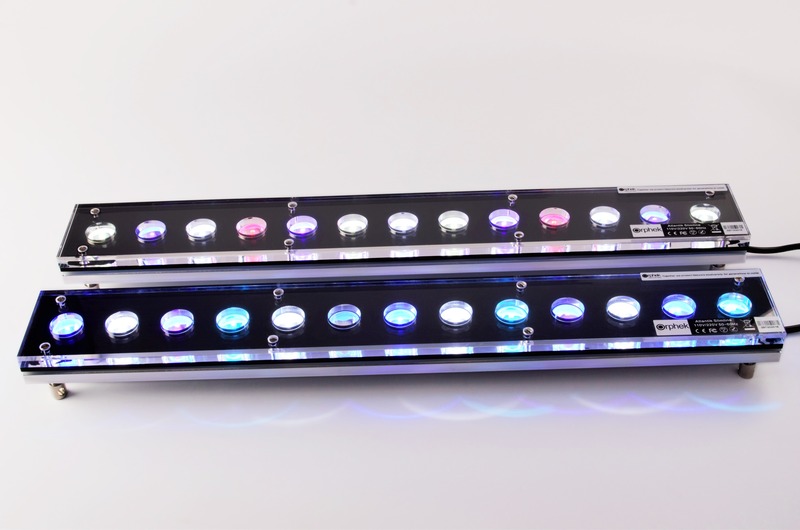 “Orphek has just added two new models of its unique Slimline LED aquarium striplights. 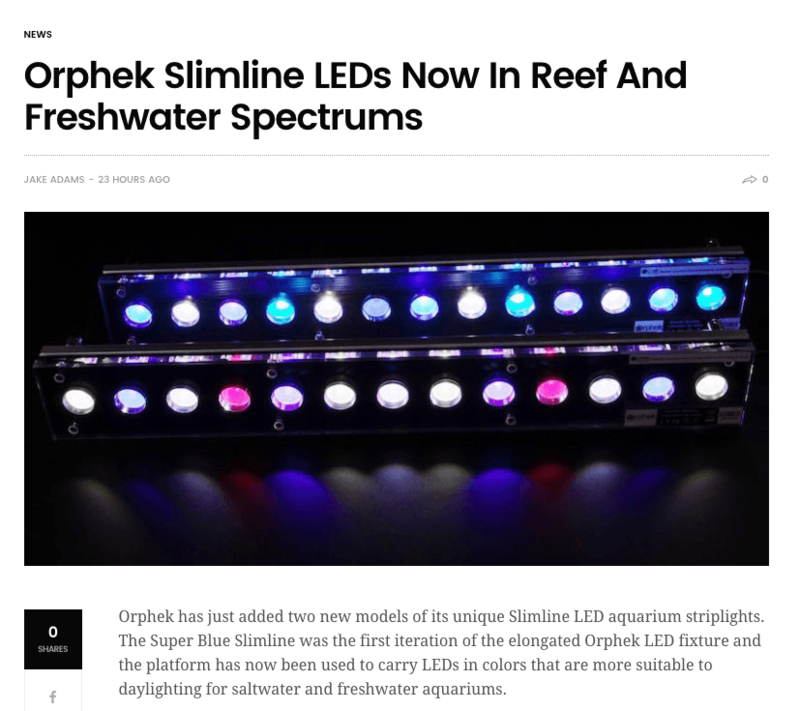 The Super Blue Slimline was the first interation of the elongated Orphek LED fixture and the platform has now been used to carry LEDs in colors that are more suitable to daylighting for saltwater and freshwater aquariums. About Reefbuilders: Established in 2006 Reef Builders covers the aquatics industry for keeping saltwater tanks. 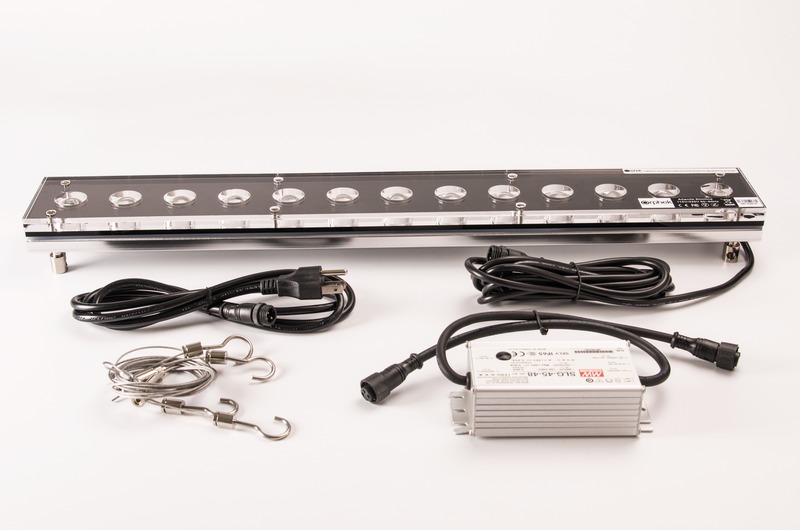 We like to thank Jake Adams for this first evaluation of our new Slim Line LED products! Our 24? Slim Lines Lights can cover every 101cm/40? L x 30cm/11.8? W x up to 60cm/24? H of your SPS/LPS reef tank or planted frashwater aquarium – that said, if you start with a smaller tank you can always add more lights as you continue to upgrade your tank. Or you can simply add 01 extra unit for every 1m/40? L, or 30cm/11.8? W.